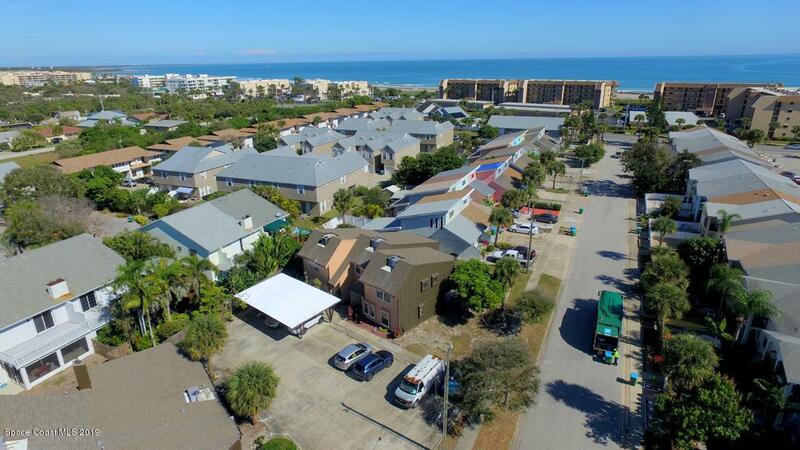 Beachside, only one block from the ocean, two story townhome with bedrooms and private baths each are located on level two along with the Washer & Dryer closet. 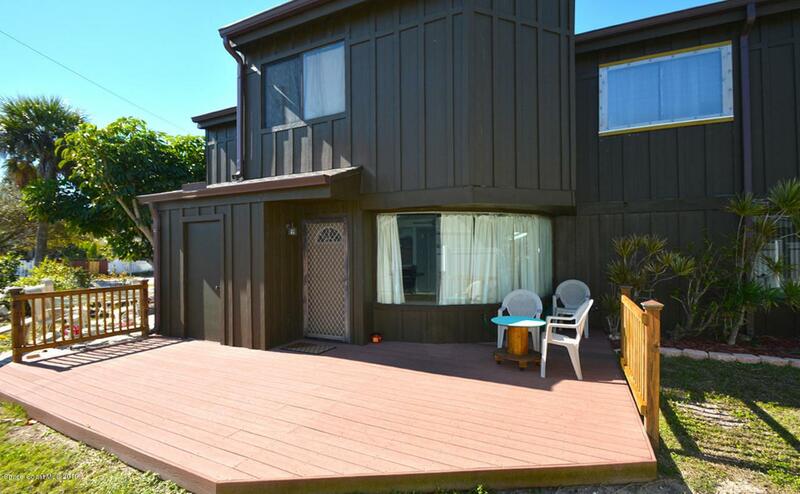 First floor has a 1/2 bath, kitchen, breakfast nook, and spacious living area with door to the outdoor deck. Mandatory Condominium Association applies with a minimum rental restriction of 90 days. 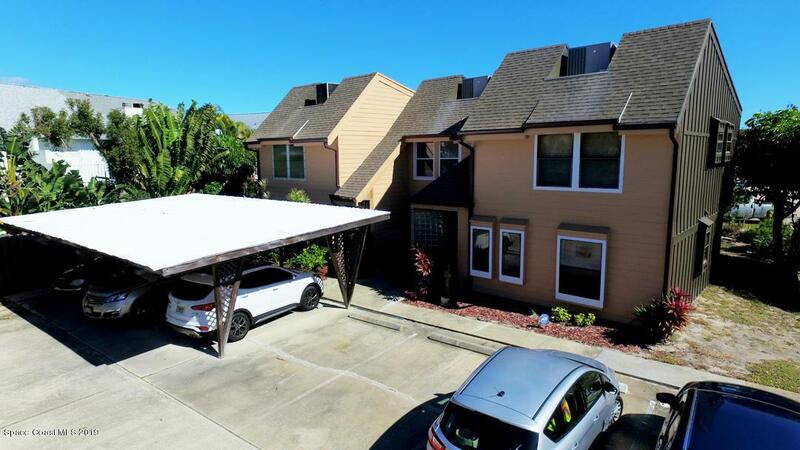 One assigned carport and open parking to accommodate a second vehicle or used as a guest space. 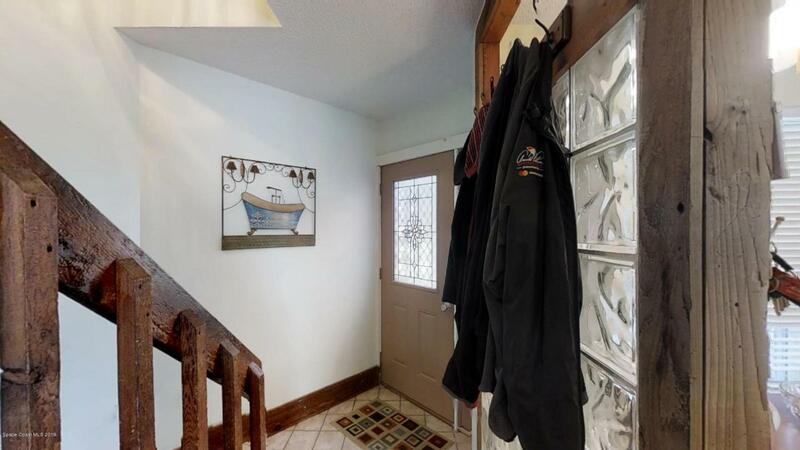 Make this unit your own, gently used 6 months out of 12 each year, well maintained on the inside and out, AC unit installed in 2009, however parts have been replaced throughout the years under extended warranty. Exterior of building has hardy board siding, roof was replaced in 2012. Priced w/ consideration for buyers upgrades.